Kenray Ranch is located 7 miles south of the town of Redvers in the southeast corner of Saskatchewan. 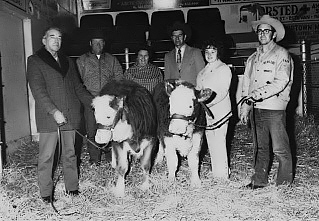 The ranch is primarily owned by Ray & Donelda Kyle and operated with the assistance of Sheldon Kyle, and help of Lyndon & Karmen Kyle. The next generation continues to expand the land base and develop the breeding herd for the future. 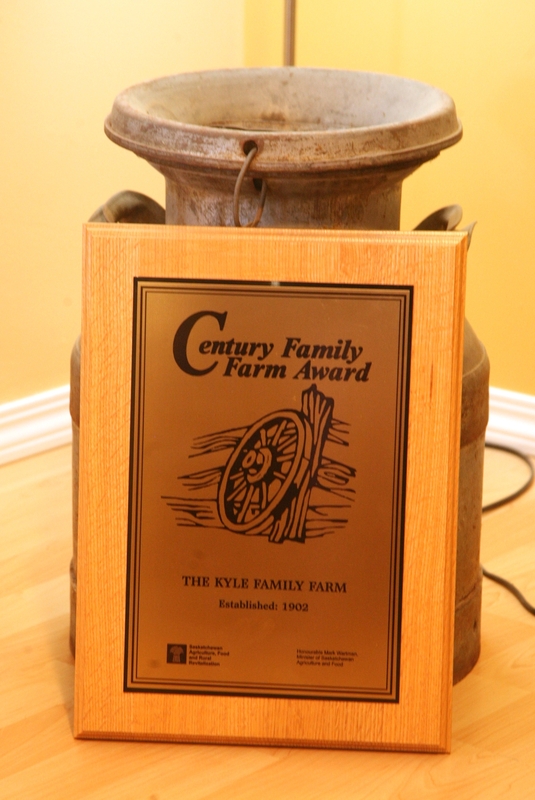 Ray’s great grandparents homesteaded the property in 1902, the Kyle’s are extremely proud that in 2002 they received their century family farm award. 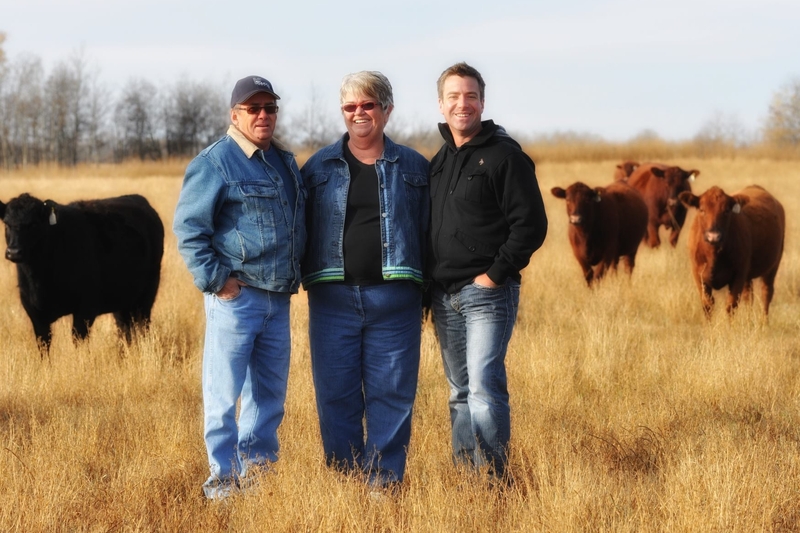 The Kyle’s have been actively involved in the breeding of quality Red Angus since 1986. Kenray Ranch has set the goal of producing breeding stock that meet the demands of the current beef industry. The importance of controlling production costs is paramount to success in the beef industry. We strive to manage our herd under a least cost production philosophy and to produce the genetics that excel under this management. We also recognize that consumers are demanding a higher quality beef product and the quality of Angus beef has been identified, so why not capitalize on this opportunity today! With the purchase of a Kenray Ranch herdsire your calves will be eligible to qualify for a number of unique marketing opportunities. In order to provide the very best Red Angus genetics possible we perform an extensive selection process utilizing the most current tools available. 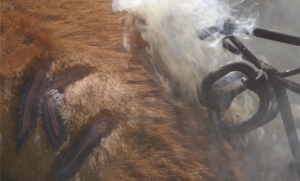 We strive to produce a beef animal with the perfect blend of calving ease, rapid growth, structural correctness, reduced maintenance cost and exceptional carcass composition. Currently we market breeding age bulls at our 4th Annual on-line sale April 4-5 at DVAuction & privately off the ranch. Check out our BULLS FOR SALE page for a sampling of the bulls that are available. Kenray Ranch has been supplying quality angus bulls to our customers for over 30 years! Purebred and commercial females are sold year round privately from the ranch. The Kyle’s also offer females at various purebred female sales across western Canada. These sales have included The Masterpiece in Regina, SK, the Touch of Class in Saskatoon, SK and the Keystone Klassic Sale in Brandon, MB. The Kyle family takes great pride that many of the females sold in the past have gone on to produce industry leading offspring. For proven “genetics that you can build on” make Kenray Ranch your choice for herdsires or breeding females. The Kyle family is committed to the beef industry and would enjoy visiting with you about their program. If you are ever in the area be sure to stop in, as the coffee is always on. The name Kenray Ranch was derived from names of two of the pioneers at the ranch, Ken Kyle (left) and his eldest son Ray (right). During the 1970’s Kenray Ranch was involved in breeding quality Simmental genetics and actively imported new genetics from Germany. In 1981 when Ray and his wife, Donelda, took over complete operation of the ranch they started to breed their replacement Simmental females to calving ease Red Angus sires. The results of this cross impressed Ray and Donelda so much that it led to the transition into Red Angus. In the fall of 1986 a group of registered Red Angus females were purchased from Moose Creek Red Angus. The registered Red Angus herd has grown to a current cow base of 180, while the commercial herd consists of 50 cows. We continue to develop and expand our F1 Red Angus/Simmental replacement female program.